This tutorial demonstrates how to use For Each Excel Or CSV Row	step. 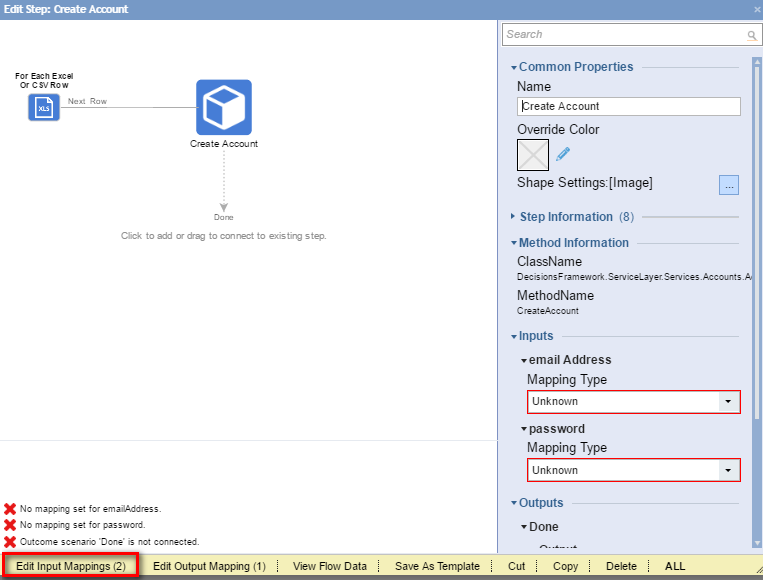 This step can be found inData > List > Excel and CSV	category in the ToolBox	. 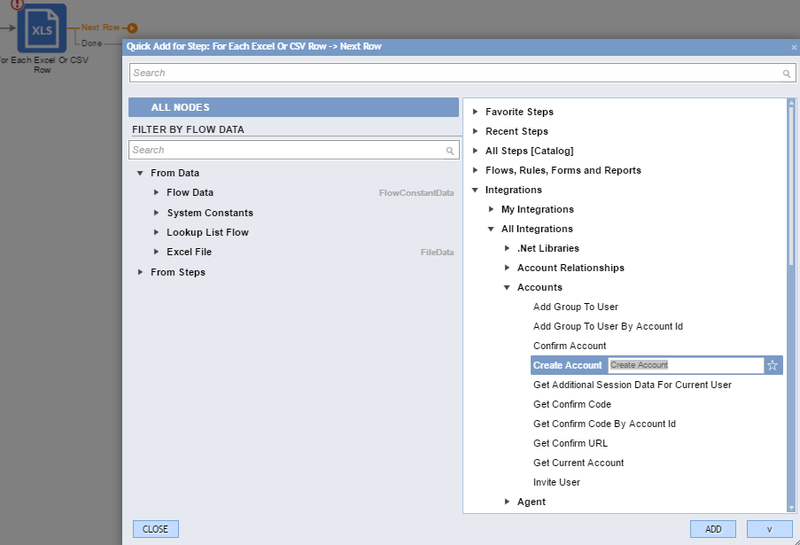 In this example we are going to create a Flow that creates new Accounts using data from the Excel file. 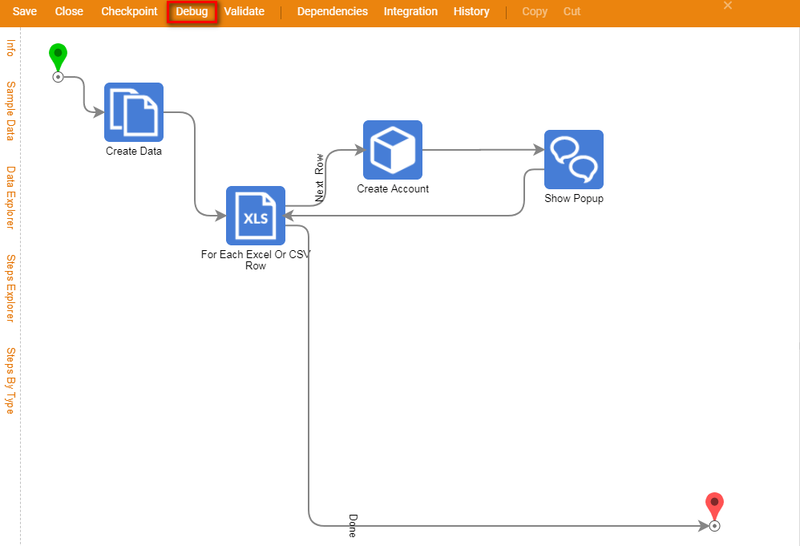 Also, this Flow will show a pop-up Notification for each Account that was created from the Excel file. 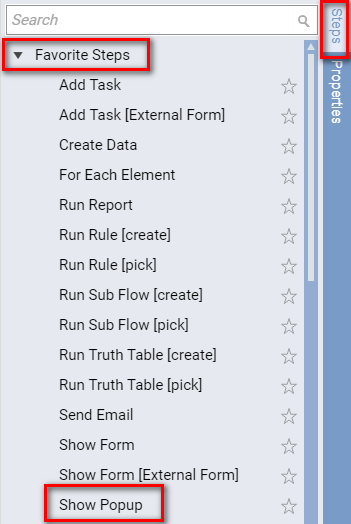 We begin in the Designer Folder with clicking Create Flow	on theFolder Actions panel. 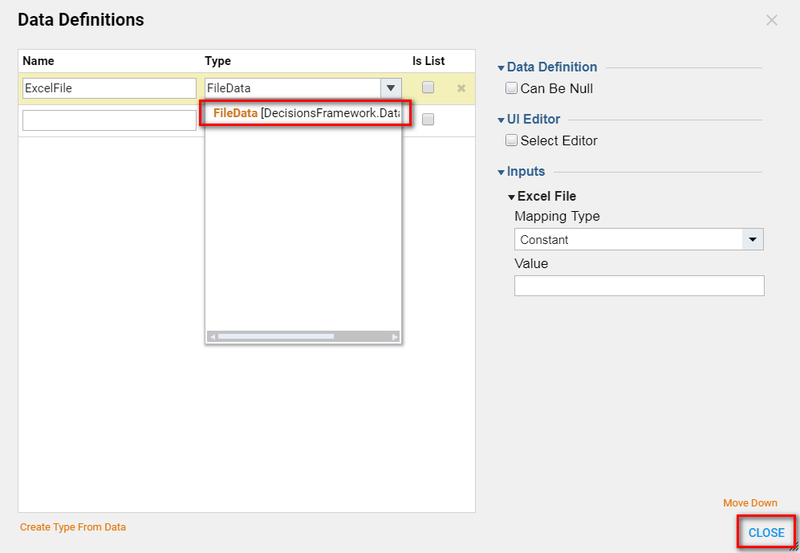 In the resulting Data Definitions	window we click Add New	to define new Data . 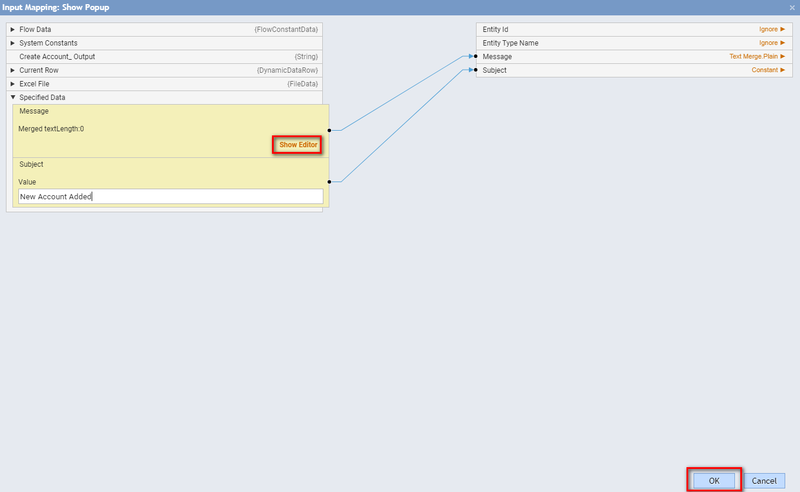 Then, in the Add DataDefinitions	window we Name	our Data and select its Type	FileData . Click Ok	to save and close Add DataDefinitions window. 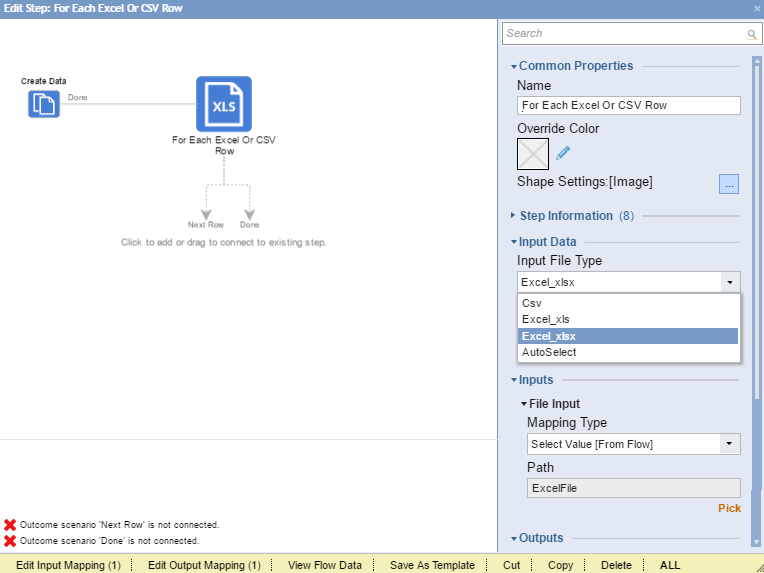 Next, we can pick an Excel file forCreate Data step. The Excel file for this example looks as following. It has 3 columns with First Name, Last Name, andEmail Address. 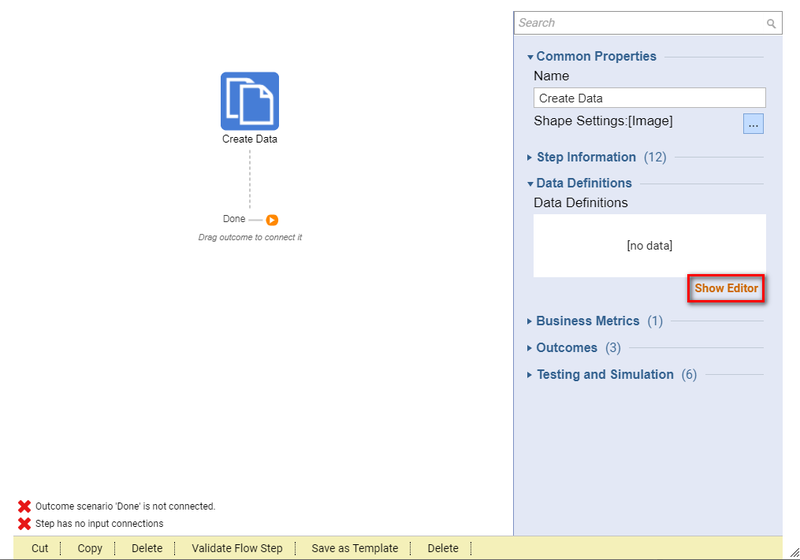 In the Flow Designer we select Create Data	step on the workspace and Step Information Layer	pops up. 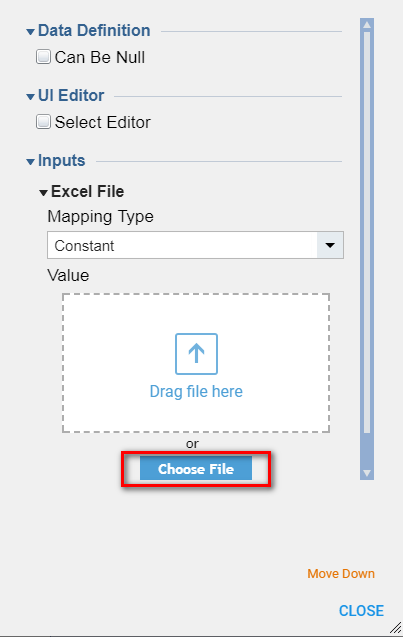 We use Choose File	for the ExcelFile	data in the Inputs	section to pick our Excel File . 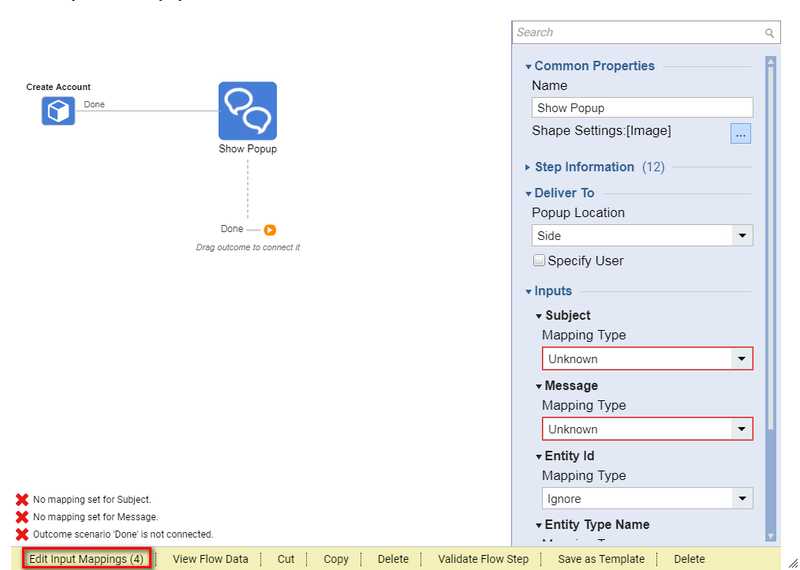 To configure Data for this step we select Edit Input Mapping	from step’s Edit Pop Up. 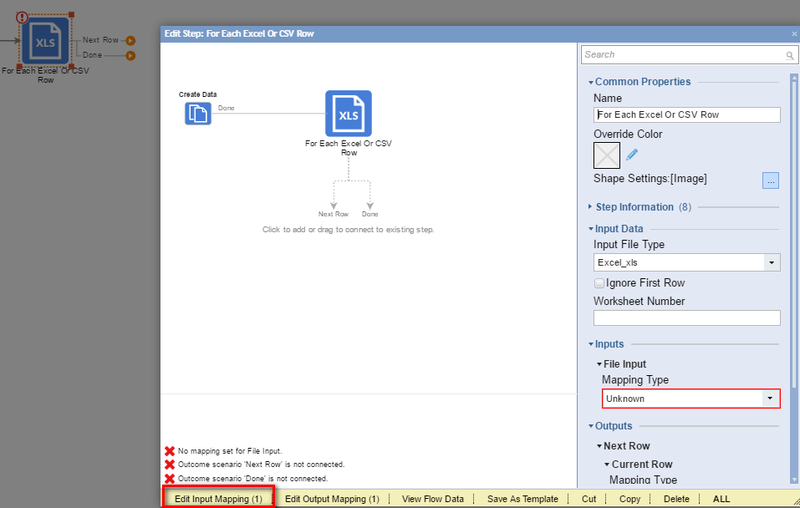 In theMapping Editor we connect ExcelFile	output from Create Data	step to the File Input	field. Then, we click Ok	to save and close Mapping Editor. 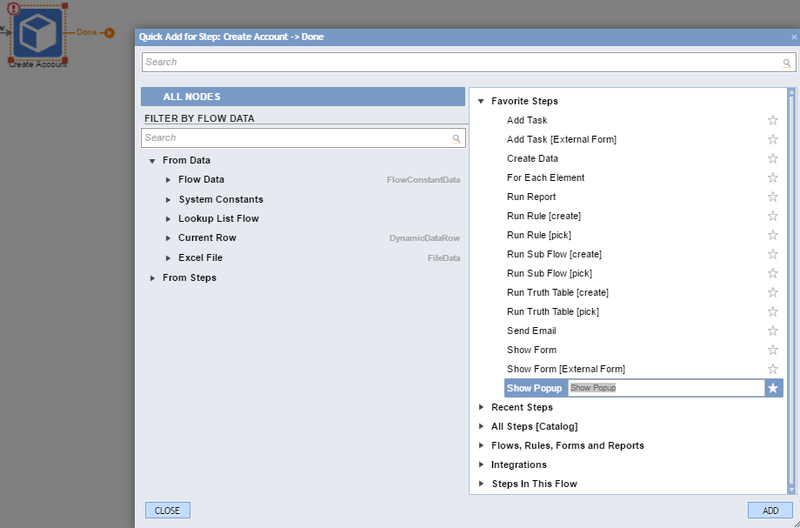 Back in the Flow Designer we select For Each Excel Or CSV Row	step on the workspace to pop up Step Information Layer . Then, in Input Data	section from theInput File Type	dropdown we select Excel_xlsx	because our Excel File has**.xlsx**	extension. 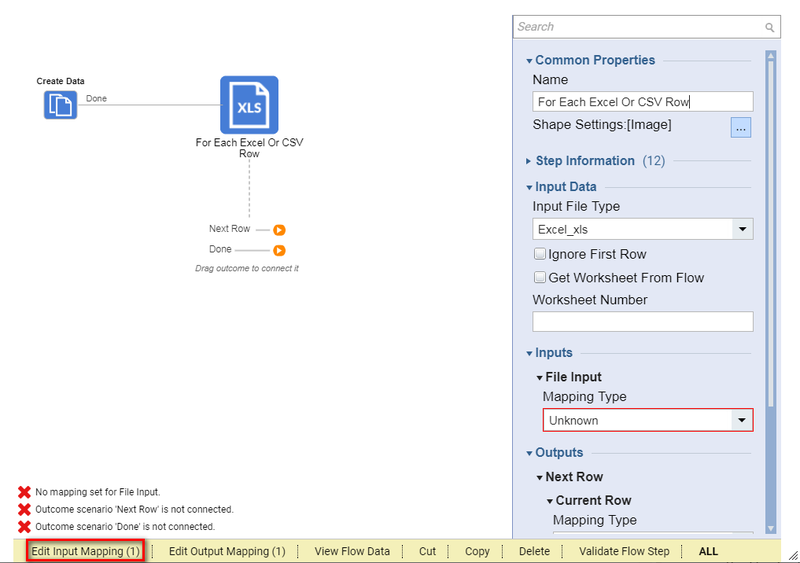 In the Mapping Editor we expand Current Row	outcome from the For Each Excel Or CSV Row step. 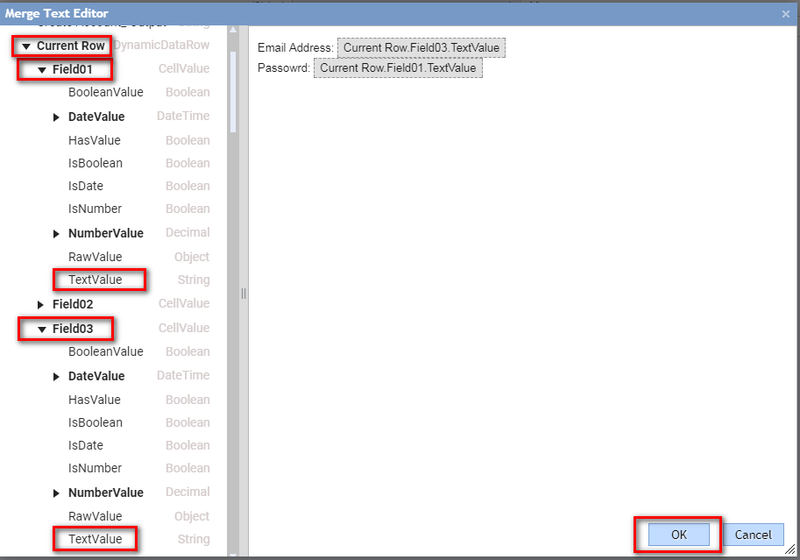 We connect Text Value	from the Field03	to the emailAddress	field, and Text Value	from the Field01	to the password	field. Then, we save and close Mapping Editor. Back in the Flow Designer we add Show Popup	step from Favorite Steps	in the Steps	panel to the Done	outcome from Create Account step. 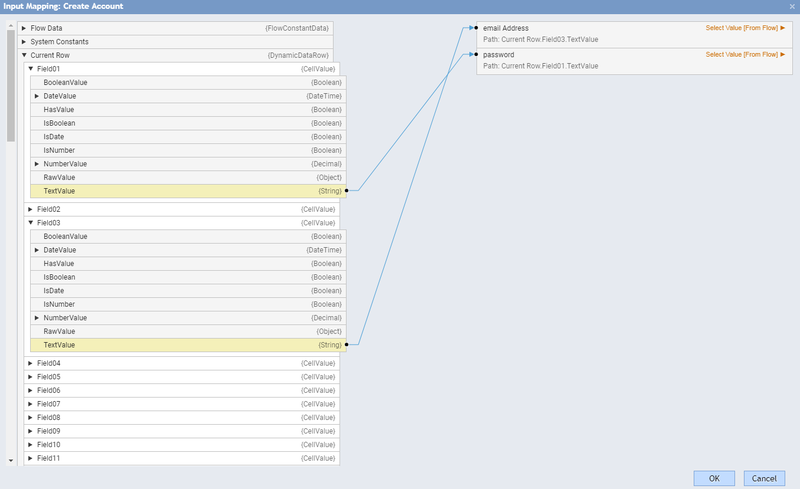 We call Mapping Editor	for the Show Popup	step to configure its Data . 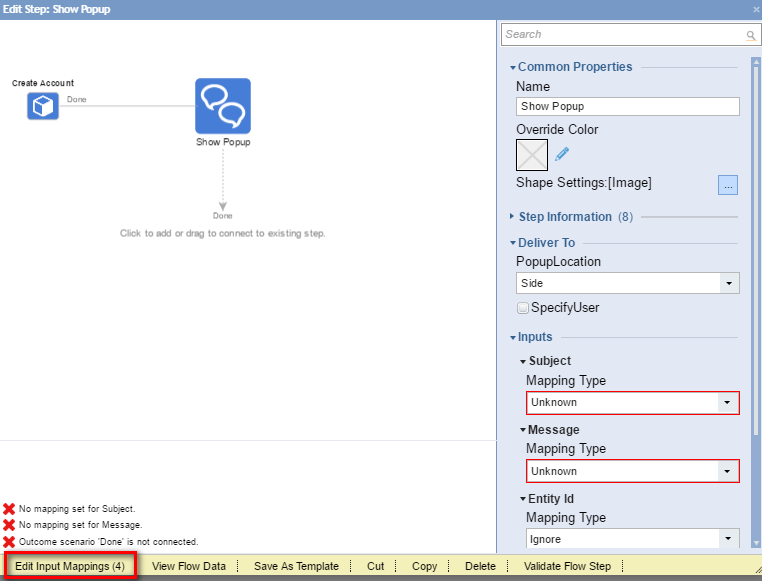 In the Mapping Editor we use Constant	text for the Subject	field and Text Merge.Plain Mapping type	for the Message	field. 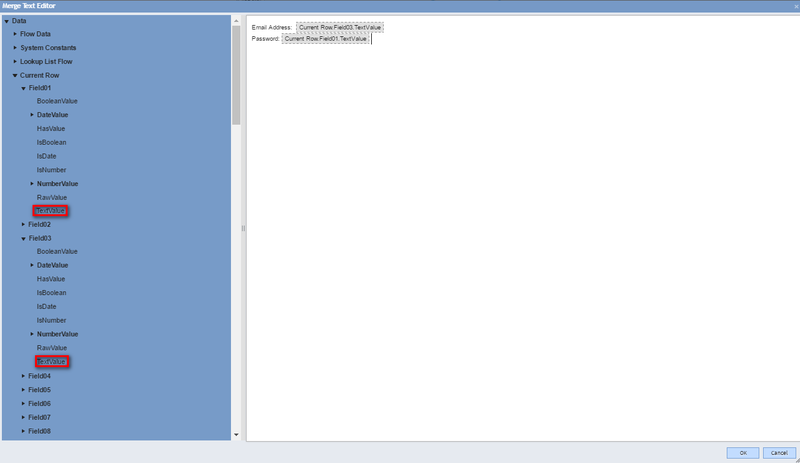 Then, we click Show Editor	for the Message	field. In the Merge Text Editor we use TextValues	from Fields	in the Current Row	to reflect an information about currently added Account . When finished, we click Ok	to save and close Text Merge Editor. Then, we can save and close Mapping Editor. 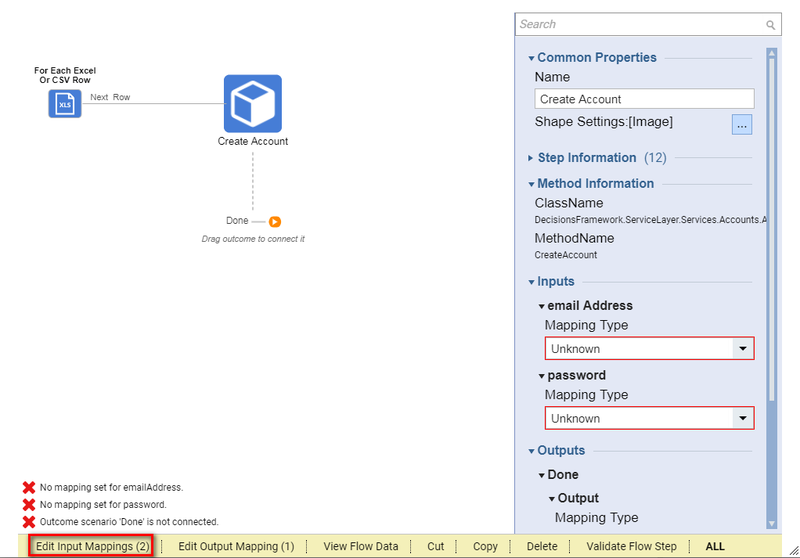 Back in the Flow Designer we connect steps in our Flow in the following manner, and click Debug Flow	link to test the Flow . We close the Debugger	and the Flow Designer. 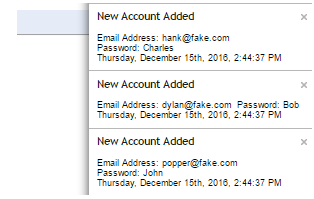 In the Portal	we navigate to theSystem > Security > Accounts Folder	, and confirm that four new Accounts were added to the Portal .